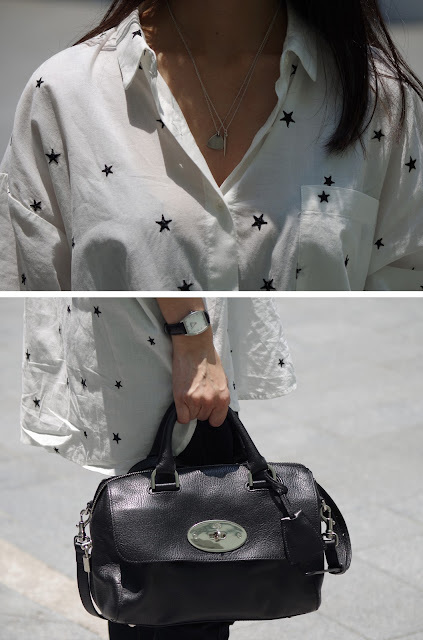 Ever since stars became popularised, there has been so many star printed apparel out there and of course, I love so many of them!! Star is my favourite shape since I was a kids (esp 4 sided stars) and it has been tough to find star printed apparel till recent years. Kind of sad that it's quite a mainstream/common print now but I'm glad some labels still make tasteful star printed items and those are the ones I really love. Now on to this shirt! It's such an easy casual piece that can go with literally every denim I have in my wardrobe. Pretty sure it'll work well as a throw-over kind of shirt at the beach too.